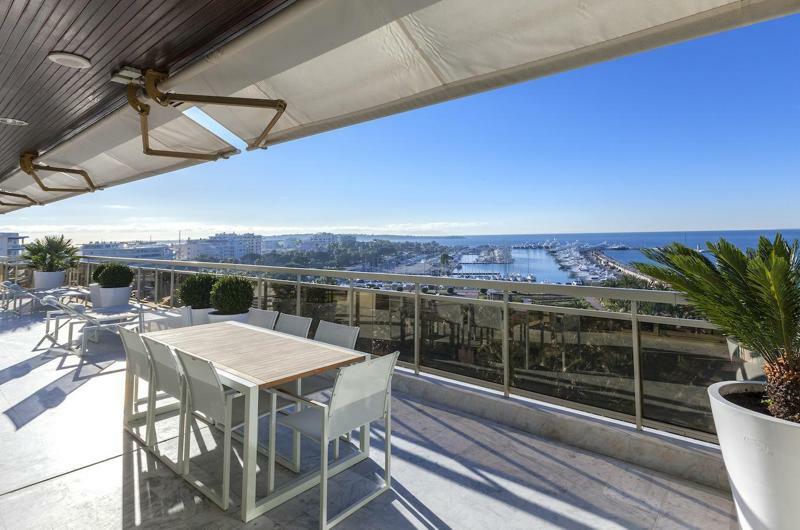 This 3-bedroom Cannes event penthouse is nestled on the 8th floor of a building with an elevator and is located on the famous La Croisette which goes along the coastline of Cannes. Located at the starting point, the Boulevard de la Croisette is the most prominent street in Cannes and boasts some of the most extravagant stores, restaurants and shops. The 220m2 of magnificent sea-facing terrace lounge is provided with white leather couches, sunbathing chairs and a dining table. The terrace combined with the living room or even separately would make a perfect spot to hold a meeting or to host a sunset cocktail party. 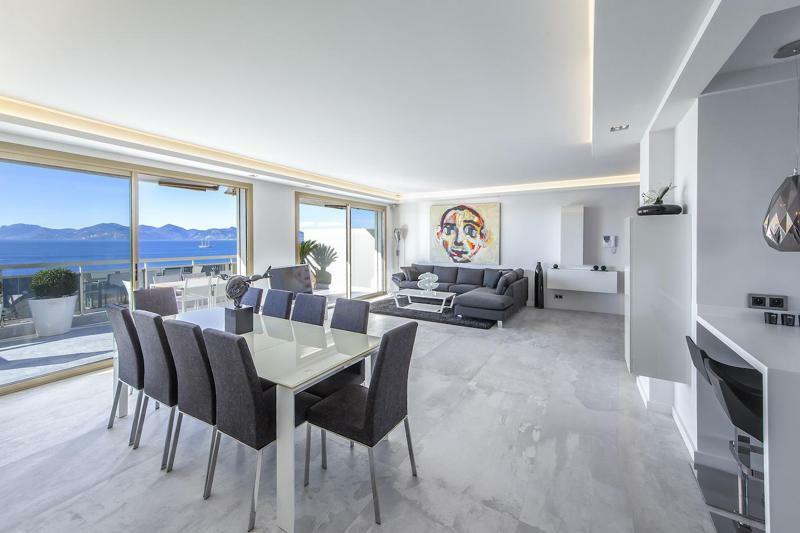 The interiors of this Cannes penthouse are as elegant and classy as its sea view terrace. 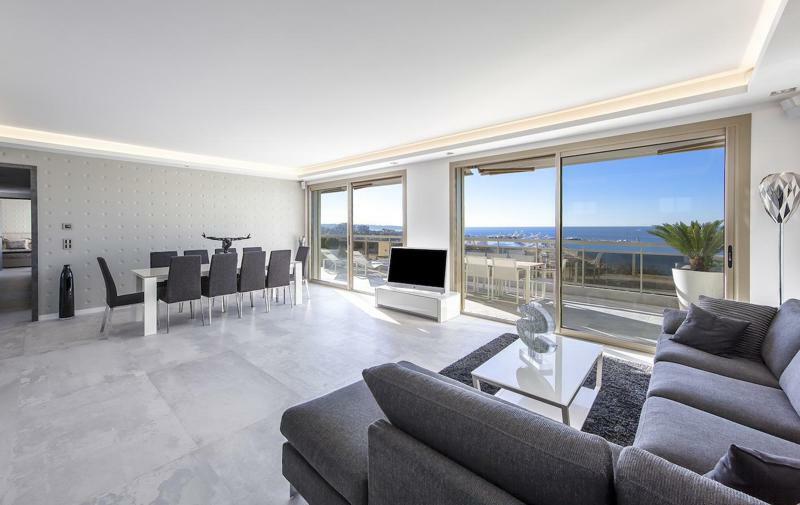 The contemporary living room contains a dining area and a fully equipped kitchen and offers gorgeous views of the Mediterranean. The spacious salon is furnished with a comfortable grey couch set and a matching dining table. Additionally, it is administered with a double glazing and electric shutters. 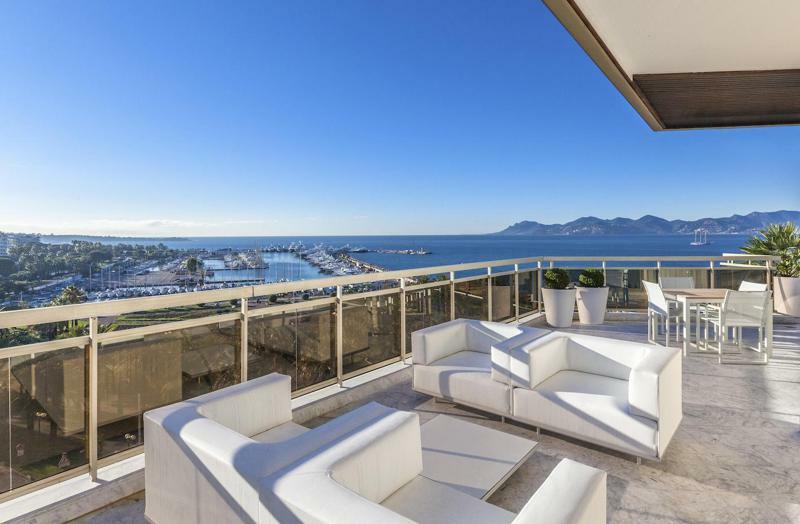 The Cannes rental penthouse has a total of 3 bedrooms. The master bedroom is right next to the living room and has direct access to the terrace. 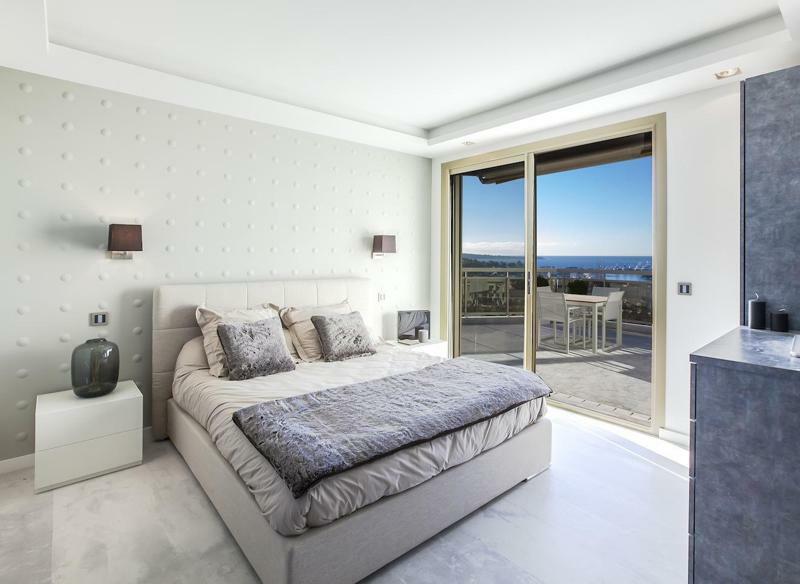 The drapes of this bedroom roll up to magnificent Cannes sea and port views. The other 2 bedrooms also come with a double bed each. 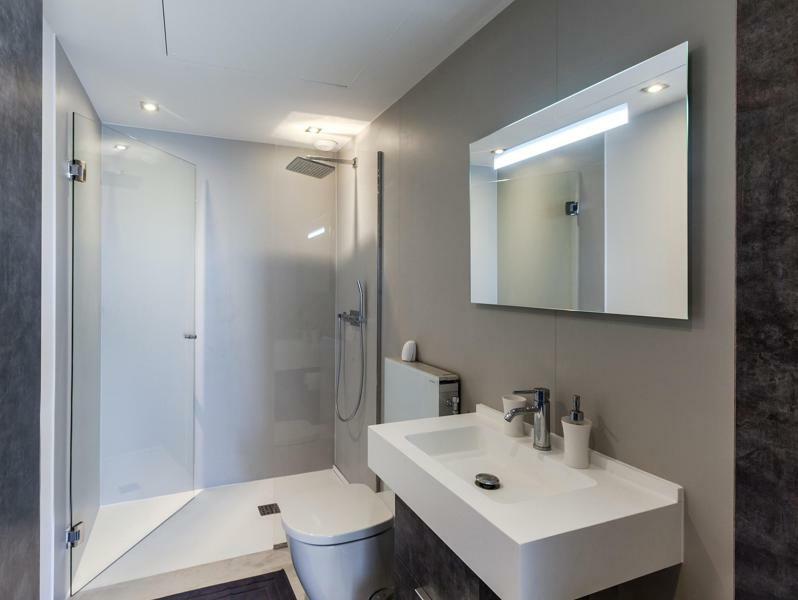 There are 3 bathrooms in total, all with showers and toilets, and an additional guest toilet for added comfort when you have guests over during your next Cannes conference.